People’s Postcode Lottery is a subscription lottery offering material prizes and cash based on your postcode. Players pay monthly subscription to participate in the game. Launched in 2005, the lottery is operated by Novamedia with the goal to raise money for good causes and to enable people across the United Kingdom to win fantastic prizes. There are several categories to choose from. You can win every single day. The top prize includes £3 million or a BMW (Full prize list). 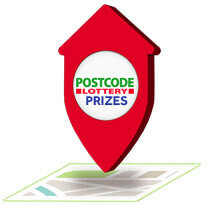 Step one: Visit the official website of the Postcode Lottery and start from the „Play“ page. Step two: Fill out all required boxes and pick the number of subscriptions in the game (1, 2 or 3). Each additional subscription multiplies your winnings. Finally, choose the payment method, confirm that you agree with all terms and conditions and click on the blue „Continue to payment“ button. Step three: Fill out all payment boxes and confirm by pressing „Continue“. Step four: Finally, check the whole process on the ticket and confirm. Now you are in! Don’t forget to check the results. You may be one of the recent lucky winners. One ticket, valid for the whole month, costs £10. Each player can buy up to 3 tickets. You can also choose subscription after which the amount will be subtracted from your account. You can cancel the subscription on your play account whenever you want to. Draws are held each day. The number of drawn postcode numbers is derived from the day in the week. Draw dates for each month and the name of the charity supported in the draw are available at the lottery’s official website in the prize draw calendar. Full list of all prizes you can win is displayed below in „Prizes“ paragpraph. Each month around 8800 prizes are distributed. There are prices every single day in various categories depending on the day in the week plus the main price drawn once a month. Trip around the world worth £5,000 + £2,000 (cost to spend). Monday through Friday: 10x $1,000. All prizes (except monthly) can be multiplied depending on the number of purchased tickets. For instance, if you buy three tickets in a month worth £30 and win a Saturday prize of £30,000, your prize will be three times bigger i.e. £90,000. Since prizes are drawn based on the participating postcodes (which means that all depends on the number of participants in the United Kingdom), your odds to win in the lottery can’t be determined accurately. According to the lottery organiser’s official resources, last year 80% of participants won any prize. In case you win you will be informed by e-mail , SMS or phone. The type of contact depends on the type and size of the prize. 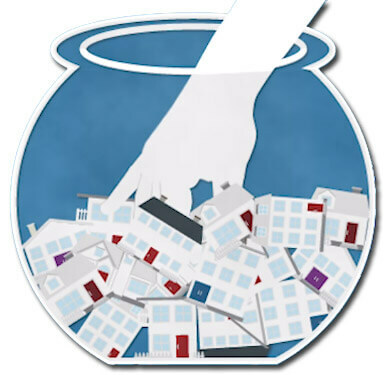 If you win a prize, material prize or cash, the lottery will contact you to arrange a date for collecting the prize. In the case of smaller prizes, you will receive the cash on your bank account within 28 days from the draw. The lottery was founded with the aim to raise funds for deserving charities and widen awareness of the amazing work of the good causes. The principle is simple: players donate a small portion to good causes and in return they get the opportunity to win an amazing material prize or cash. The large quantity of purchased tickets generates a huge total revenue. A minimum of 32% of the ticket price goes to charities and good causes. Since 2005, the players have raised over £300 million for good causes. 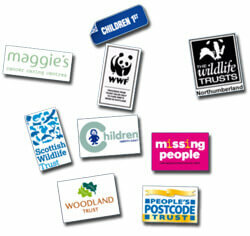 A list of all organisations supported by the lottery can be found at the lottery’s official website. People’s Postcode Lottery has been operated by Novamedia worldwide since 1989. In 2005, the lottery was launched in Britain and shortly gained wide popularity. In 2017 the organisation ranked as the third biggest private charity donor in the world. In late 2017, 58% of all postcodes across the United Kingdom took part in the game. As of today, the amount raised by the charity has exceeded £301 million.